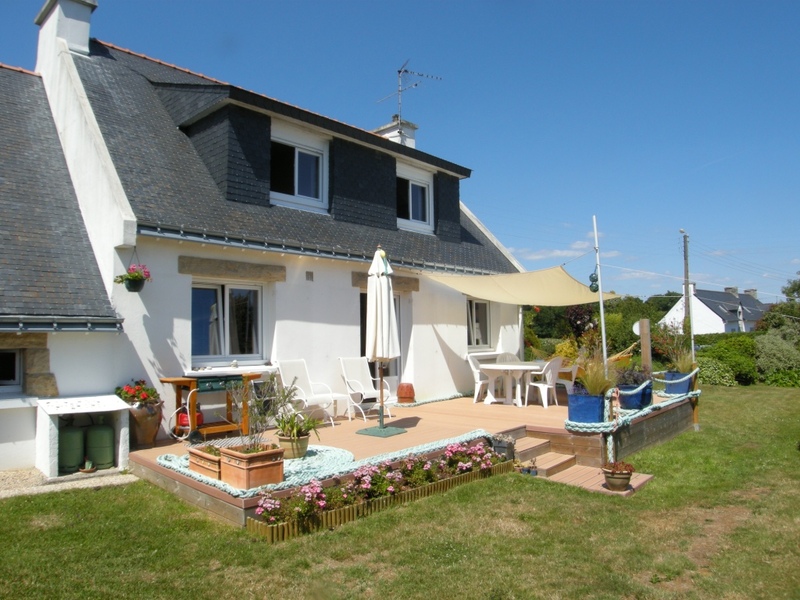 Near Pont-Aven and Concarneau, you will enjoy the charm of the Breton countryside and be only a few kilometers away from beaches. Hiking trails (2 kilometers from the GR34) will give you a nice way to discover them. - Relax in the garden or in the verandah. -“Breton breakfeast” served either inside or on the terrace depending on our humor ! -A catering area on the landing : fridge, microwave oven and Tassimo coffeepot. Car park and garden at your disposal. The coast will not leave you indifferent: the point of Penmarch the lighthouse of Eckmul, the point of Raz, Almost Island of Crozon are a part of inevitable excursions. You will arrive by N165, take the exit “Kerandreo” and follow the Pont-Aven direction, and then Névez. The TGV stops at Rosporden (15km from Pont-C'Hoat), Lorient (40km) and Quimper (35km). You can then hire a car at Quimper and Lorient stations, at the airports and also at Concarneau.